Everything needs to be new in a new year including haircut style. Women’s haircut style in 2017 is surely involved to be a plan list of your resolution. The current haircut style will make you fresh and change your look to be modern and trendy in this year. What are women’s haircut style trends along 2017? One of the women’s haircut style trends in 2017 is side – shaved. It is a rose gold blonde style increasing a stylish and trendy impression of your look. This has very short haircut dominating a trend of women’s haircut. Side – shaved with short cut of back hair looks tomboy but the front area of the head is let longer to cover a half of face. 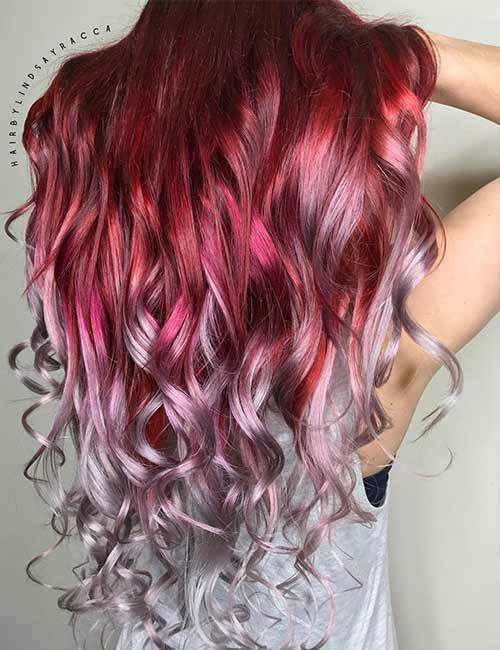 This haircut style is very appropriate to combine rose blonde color. This is edgy style that is called to be an alternative haircut for women who want to appear anti mainstream. Do you wanna try it? A medium shaggy is another trend of women’s haircut style in 2017. Shaggy haircut is timeless and becomes a favorite haircut among women. It is caused that this haircut is helpful to disguise chubby cheek shape. However, in order to make the look of this haircut more modern, you may try medium shaggy with a touch of natural wavy. Pixie sterling is another timeless haircut for women. It is not surprisingly that many women love this haircut. This haircut is appropriate for tomboy women or those getting bored long hair. This haircut also gives you freedom in activities. In 2017, this haircut is very popular with side bangs cut. Pixie sterling is combined with bright and colorful hair colors to make it look different and attractive. Bob haircut is back in 2017. It dominates a haircut style trend in 2017. This has a classy haircut style but it displays a timeless style of your hair. For those finding an inspiration of new haircut, this classical haircut can be a right choice. If you want to experiment to new hair colors but not too brave for bright colors, olive brown can be tried to add volume impression on your hair. The last haircut style trend in 2017 is mermaid waves. For those having long hair but thin, mermaid waves can solve your problem. In addition to show cute wavy or curly texture, this happening haircut is able to add thick and volume impression on your hair style. In order to make it more elegant, this haircut is appropriately combined to a touch of calm brown color. Brown mermaid waves is suitable for those accentuating feminine impression. Those are some trends of women’s haircut style in 2017.